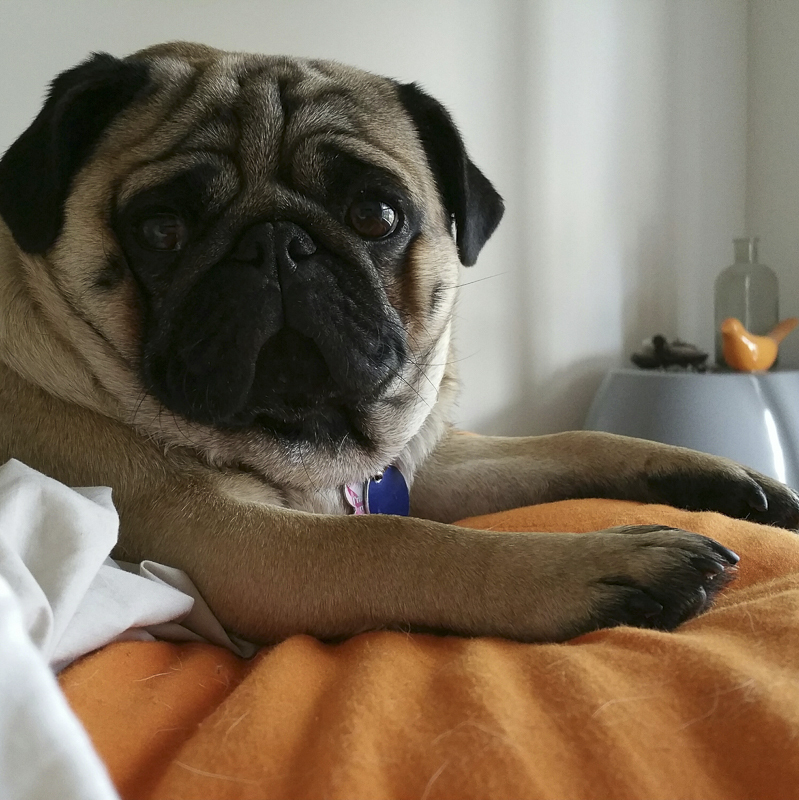 It is that time again where you get to know a pug from the social media scene in our popular Social Pug Profile series. Today we are lucky to have the chief treat taste tester for the very awesome Miss Drew’s Bakery Dog Treats, Miss Drew. 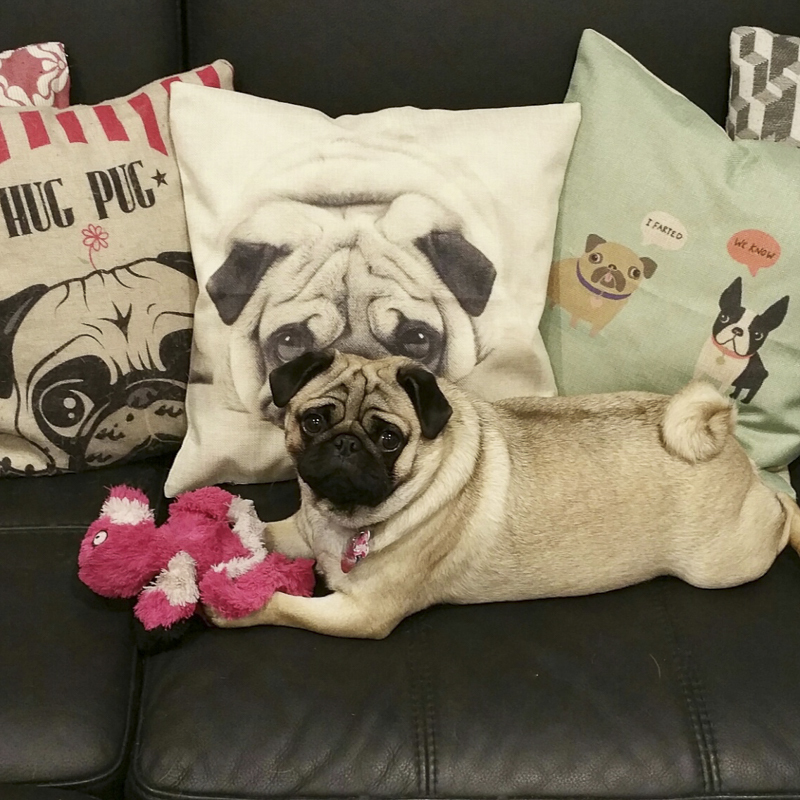 You will love getting to know this lady pug in her interview. On the Mornington Peninsula in Melbourne Victoria Australia. Dinner time and also bed time cause I get to snuggle with my hoomans. I love chicken and sweet potato and my mums cookies of course but basically anything I can get my little paws on. My pink flamingo (aka manky bird) its very chewed, and yesterday I chewed off its leg but I like to take it to bed and I love playing tug-o-war with my mum. The heat so mum makes sure the air con is on and I have lots of icy water. I also hate when I have to stay home on my own its not offen but it makes mum sad to leave me when she cant take me with her. Food and my family cause they love me lots but mostly cause they feed me. I like to leave half chewed sloppy toys around the house. 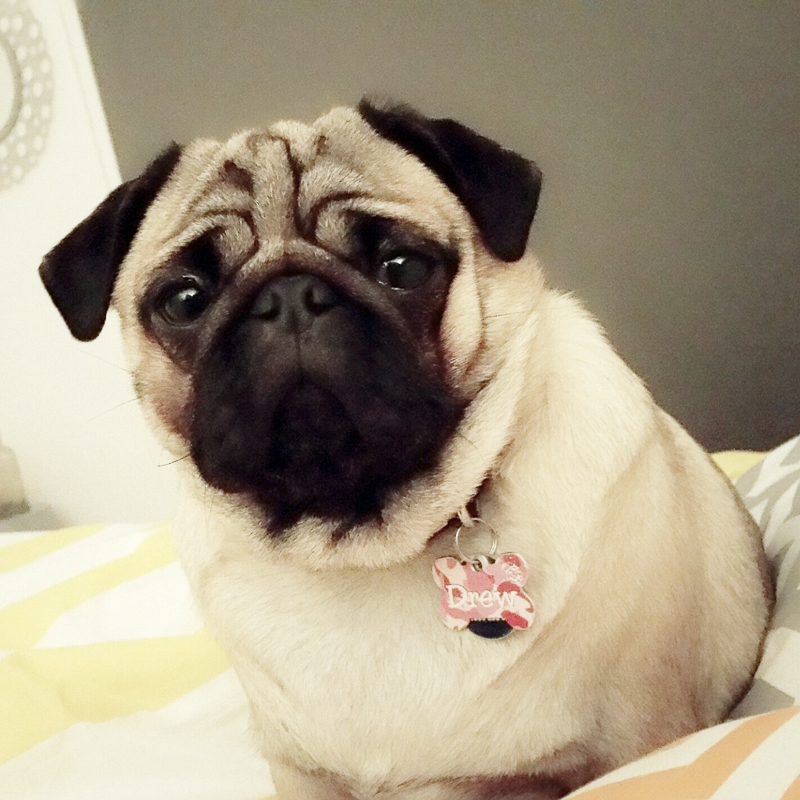 I snore very loudly and I get very stalker pug when your eating. I’m cute of course. I love to give lots of snuggles and puggy kisses. I just love being with my mum all the time and love to dress up. Wake up dad takes me outside for wees and poos and a good sniff around the yard. I get my morning brekkie and then I like to go back to bed for a snuggle with mum while my hooman brother gets ready for school, I go check to see if hes dropped any toast crumbs. If mum has cookie orders to do I sit and watch her for awhile but my best job is to watch out the window for the postie I love to let mum know hes arrived by barking out the window. I love to snooze outside if its a nice day, play with my toys and on the weekends I just chill with the family or go my mums other job at a fairy shop I like playing with the children and meeting the customers. I love going for car rides too. What is it like being the Chief Treat tester for Miss Drew’s Bakery? I get to try all the treats but just a little bit at a time. It always smells nice when they are baking in the oven. I like dressing up and getting photos taken it cause it means I get a little treat for doing a good job. Do you eat too many treats or does your mum portion control your treats? 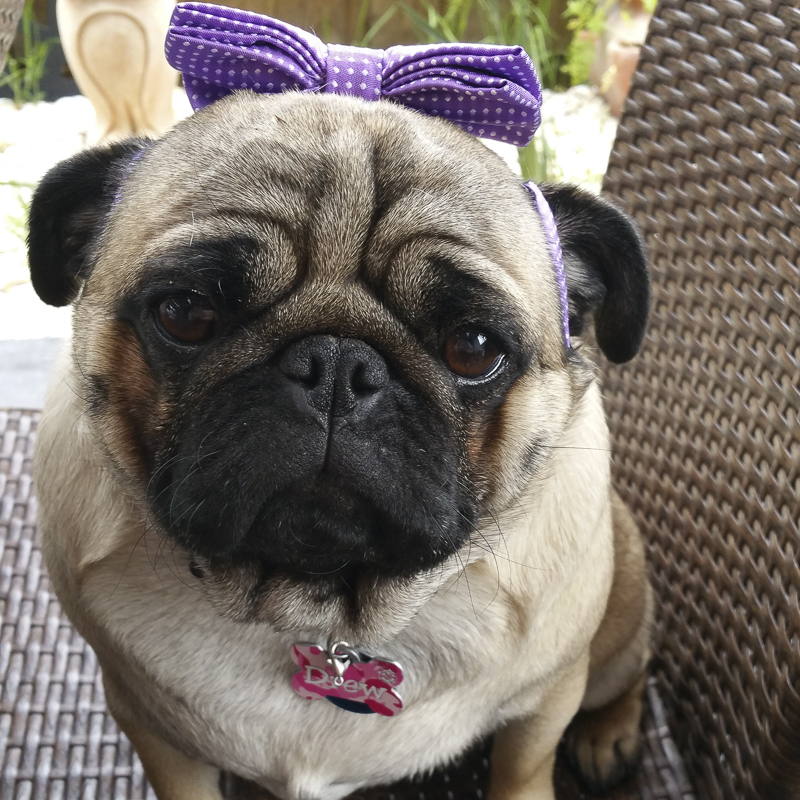 I have a little treat bucket with broken up cookies so i just get a little bit each day but I do need to lose some puggy booty so now we have better weather we will go for walks. 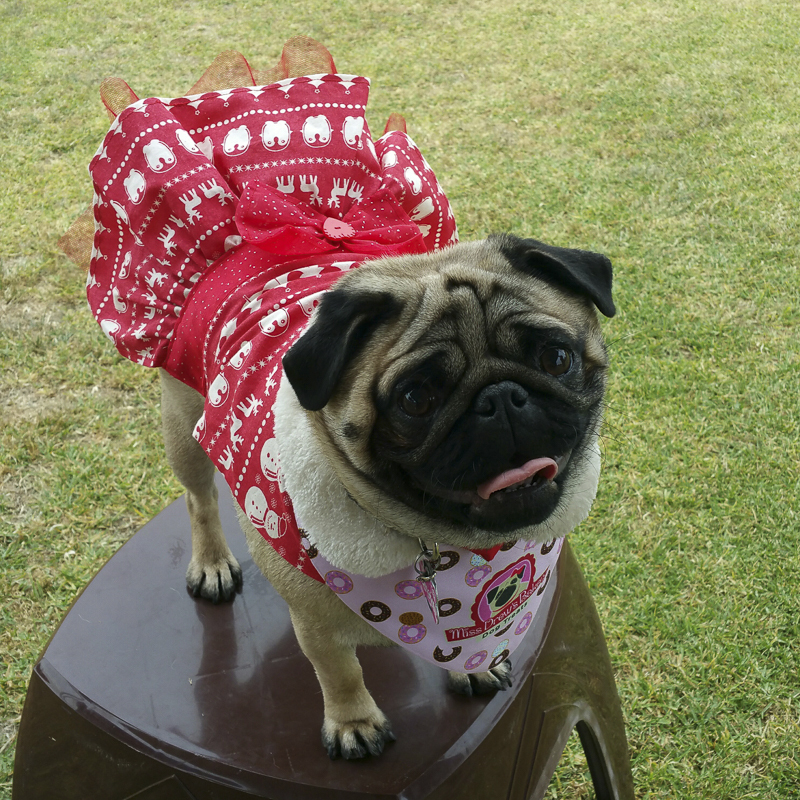 I hope you have enjoyed getting to know Miss Drew in this Social Pug Profile interview and be sure to leave a pug love note for her in the comments below. 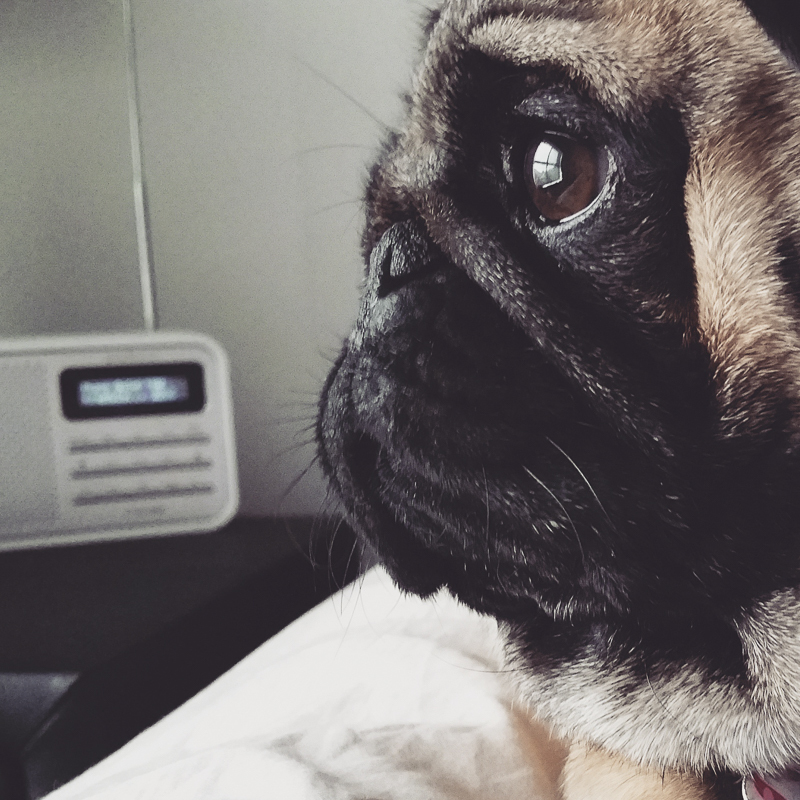 You are so pretty and sound like a swell pug!